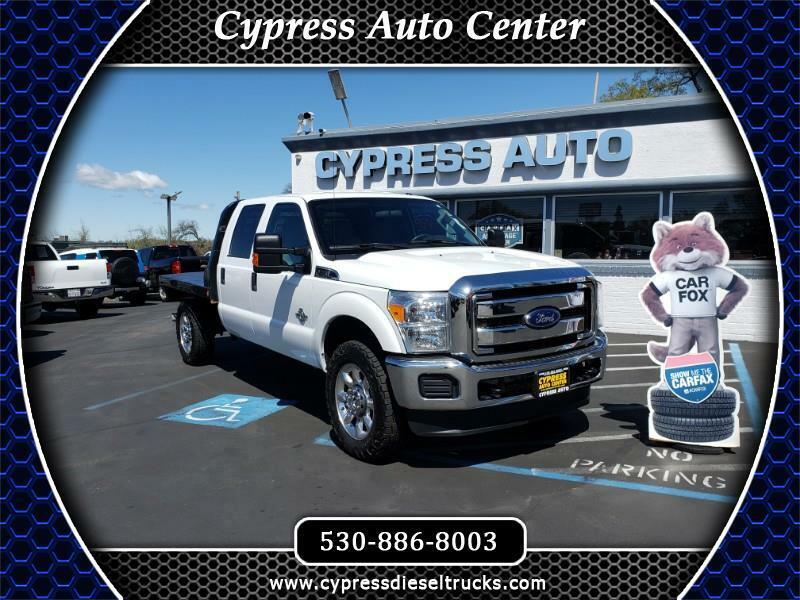 THIS SHARP ONE OWNER 2016 FORD F350 XLT ONE TON IS READY TO HAUL SOME MASS! POWERED BY THE 6.7 POWERSTROKE TURBO DIESEL, THIS HEAVY DUTY RIG VAN GET THE JOB DONE. EQUIPPED WITH FACTORY TRAILER BRAKE AND EXHAUST BRAKE, AS WELL AS A HEAVY DUTY HITCH, HEADACHE RACK, AND 8 AND A HALF FOOT DIAMOND PLATE FLATBED, THIS HAULER WAS MADE TO TOTE THE LOAD. NOTICE THE PREMIUM ALLOYS THAT SOFTEN THE INDUSTRIAL GRUNT LOOK. FULLY SERVICED IN THE SHOP AND READY TO PROVIDE MILES OF SUSTAINED SERVICE FOR YOUR TRUCKING NEEDS. COME SEE IT AND DRIVE IT.